Buying a car takes patience, research and a little help along the way! 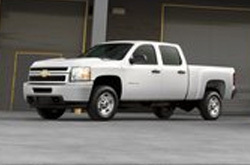 That's why Vandergriff Chevrolet provides a review of the 2013 Express. Stop worring about your next Chevrolet purchase; look to the premier Express dealership in Arlington, TX for well researched reviews authored by automotive enthusiasts. The following article is loaded with valuable material- it contains everything so that you can make informed decisions about the Chevrolet you want to buy. Is the Express right for you? Find out below! 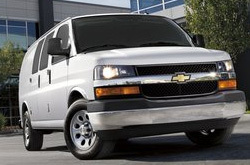 Comparing the 2013 Chevrolet Express side-by-side with against vehicles like the 2013 Ford E-Series, Mercedes-Benz Sprinter, GMC Savana and the Ford Transit Connect, and you will notice that the 2013 Express out does the competition in many areas. Pay attention to our bullets to see why! Take a peek inside the 2013 Express - view video now! Unlike conglomerate auto centers, our Arlington, TX car repair facility offers authentic OEM parts, amazing Chevrolet trained technicians and a no-charge warranty for all work. We're also conveniently planted near a long list of nearby cities. Our Chevrolet auto service shop in Arlington, TX is home to helpful repair gurus, so drive your Express over for dependable service. Whether you come for speedy inspections, a simplistic timing belt checkups or anything else, we'll complete your Chevrolet repairs with finesse. Vandergriff Chevrolet is your safe bet in Arlington, TX for quality, professional Chevrolet repairs and routine maintenance. The ensuing link is your key to tremendous savings. Click now to be connected to Vandergriff Chevrolet's specials.